The Best 5 Balance Boards in 2018 - Excellent Selections by Expert! Balance boards are used by athletes, kids and general workout enthusiasts that want to improve their coordination and balance. These boards come in various styles Basic boards are circular in shape and are attached to one side with a dome. When you stand on top of it, its roundness means that it wobbles. Thus, you need to work hard to remain upright, stable and balanced on top of the board. Needless to say, the fitness benefits you derive from working hard to remain upright are tremendous and unmatched by other fitness gadgets. Here are the best balance boards short list just for you. It will help you to buy the balance boards that will be good for you & meet all you needs. 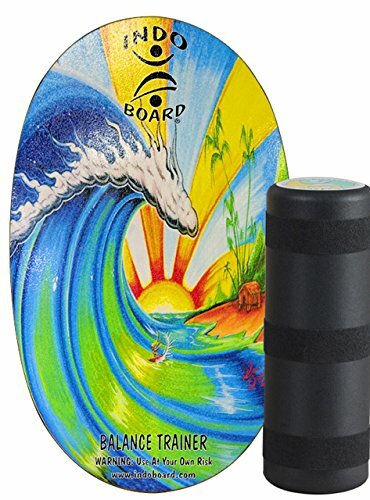 Drew Brophy, lifestyle artist has done artwork all over the deck of the indo Board balance Board Original with roller. This board comes with a wooden deck measuring thirty by eighteen inches and a diameter of six and a half inches of molded, indestructible plastic plus an instructional DVD with content worth over two hours. It is fun to use this balance board but for newbies, it will take a little bit of practice, to say the least. Good thing there is a DVD for instructions that will help you master this indo board in order to get fit while enjoying hour after hour of fun. This board is designed for improving posture, agility and balance. The innovative Revolution Core 32 Advanced Balance Board is made in the USA. There is a feature for roll control that keeps the rolling mechanism beneath you as you perform tricks. This gives you consistency in landing, which is something that not all boards are able to give. 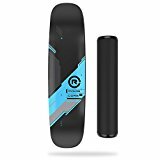 Skimboarders, wakeboarders, snowboarders and skateboarders love this product. The composite roller is built to last and the maple board construction is rock solid, to say the least. What more can you ask from the Core 32, I tis simply the best method of improving your balance in more ways than one. 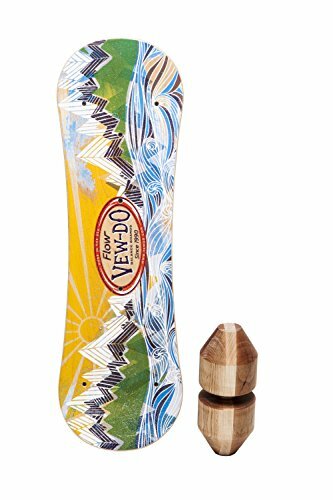 Kids and adults will love this balance board with roller by Vew-Do. Comes with a flow roller and a flow deck, this product is able to carry folks between fifty and four-hundred-fifty pounds. Made in the USA, both advanced and intermediate riders are not going to be able to get enough of this product. Which many consider to be the this board. Get a fluid, soulful ride each and every time with the twin-tip, narrow deck and tapered steep rock which allows you to transfer balance from your hips down to the board. Great for working out your entire body. Built to last, you will love the tough, durable construction of the Revolution FIT 3-in-1 Exercise Balance Board Training System. This training system includes a balance board, an exercise guide, a high-density rocker, an air cushion 360, and an extra grip roller. You will love using this balance board daily for sports training. I tis fun to use and helps you regain balance, recovery speed, reflexes, flexibility, stability and carve your core groups of muscles. Strengthen your mind and body the way fitness gurus and athletes do, using this amazing product. Get a true workout in your core with this board by simply fit. This portable, lightweight product stores away easily. It also comes with a user guide and a workout DVD. Supporting weights up to four hundred pounds, this lightweight product weighs a mere three pounds. Helps to strengthen your legs and abs. The unique balance board has a twisting motion and pivoting action that helps your entire body get toned and engaged in your workout. The bright color is a sight for sore eyes and is sure to match all the energy you invest as you work out your entire body. Balance boards come in a variety of sizes that range from extra small to small, medium and large. Depending on your capability and age, you will need to find the right board for you. Extra small boards are perfect for younger balance boarders such as younger athletes. For younger riders that are just starting out, a small board is perfect.For all ages, the medium board is the one to get. This combines strength and speed for a truly well-rounded workout experience. Taller riders will want larger boards that distribute their weight perfectly. The height of the rail helps in containing the ball beneath your balance board. If you plan on achieving more advanced moves and doing more tricks, you might want to get an original board with steel rails. It is never a good idea to begin on a starter board due to the hardness of the ball and the short rail height. How Much Does The Board Tilt? Board angles do matter as this affects how much it tilts in order to touch the ground. Beginners will need to start with a board that tilts less until they are able to keep their balance and remain stable on board. Less board tilts will require your hips, knees and ankles to remain coordinated in such a way that the board remains level. Your level of fitness will determine the type of board you should get. Obviously, beginners are going to want one that does not demand advanced fitness levels. Find a balance board for beginners. These are truly helpful for beginning a balance board workout. Believe it or not, therapists have used beginners’ balance boards to work with children who struggle with sensory and cognitive skills as well as those who are developmentally disabled. On the other side of the coin, healthier, more advanced athletes will love the addition of a balance to their workout so that they can improve and challenge their existing workout. No matter what level of athlete you are, you will definitely notice improved coordination and better balance in general after working out a few times with a balance board. Balance board reviews state that a good balance board may be all you need to add to your current workout to get that serious fitness training that makes all the difference. Believe it or not, training with a balance board is one of the most affordable, effective methods of improving overall stability, core strength, coordination and balance. Plus, for those recovering from muscle injuries or surgery, this tool is well-known to help in rehabilitating the muscles affected. Tilting angle and rotation- check to see if the board provides a rotation of up to 360 degrees and up to fifteen degrees tilting which helps in the side-to-side movement, as well as the circular drills, stretching and moving back and forth. Maximum capacity weight- check to see if your board can withstand heavy weights of up to three or four hundred pounds. Level of fitness- advanced or intermediate users will require different boards than beginners, so make sure to choose the appropriate type. 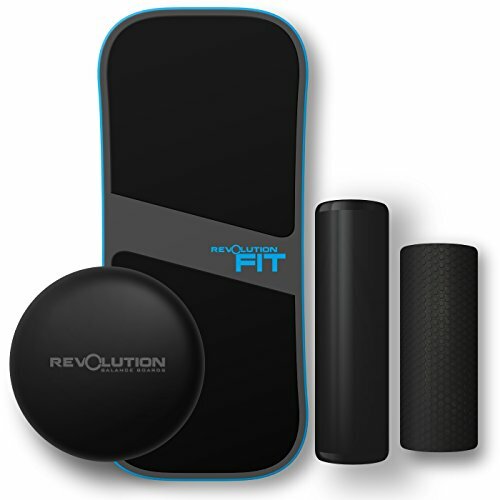 Portability- balance boards that are portable can be brought to the gym or the office workout room. The more portable it is the better. Price- wood will tend to be more expensive than plastic, but also more durable. Durability- balance boards when properly cared for will last a lifetime. Make sure you read the instructions for properly caring for your board and follow this. Refrain from the temptation of using oil to condition wood finishes as oil can be very slippery. Surface- surface skid pads on wooden boards will help you stay upright, particularly for beginners, a rough surface is a safety feature to look for. This is an important feature particularly for beginners who have yet to remain upright. Safety- children are going to need a different type of board than adults. Remember that when buying a balance board for children, it is a good idea to check the age recommendation on the package as well as whether or not your child is old enough to be able to use a balance board. Very small children are generally not able to balance as well as older children. Your best bet is to find one suitable for children, as well as one suitable for you and to make sure that the kids don’t play with yours. One balance board review after another has confirmed the benefits you get from working out on a balance board. Whether you are a newbie and a balance board looks like tremendous fun or an experience balanced border, you know that the immeasurable physical fitness benefits you get from working out with a balanced board are worth the purchase. Find out the perfect balance board for your height, weight and fitness level so that you get the board exactly right for you that you can use for life.